Each of the images represented here are the product of life- changing journey for Ian Aitken. That journey began in Jan 2012 with a close encounter with Fatu, one of the last 2 surviving Northern White Rhinos. Ian was driven to raise awareness and create a permanent record of these rare animals and their astoundingly fragile situation. All aspects of producing this set of prints, from conception to completion has been undertaken with utmost quality in mind, involving craftspeople of many different trades, to mirror the care and protection these animals receive on a daily basis from the dedicated keepers, security guards, conservation organisations and individuals responsible for their welfare. All prints have been individually handcrafted fusing digital and traditional platinum printing techniques, using hand mixed emulsions, manually brushed onto Platine paper created by Moulin d’Arches from a mill founded in 1492 in Vosges, France. Each print is truely unique. 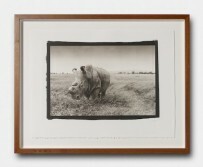 The finished prints have been placed in bespoke commissioned English brown oak frames, inlaid with fsc mpingo, hand carved with the name of each rhino. This level of detail even extends to using the ultimate archival material for the glazing. 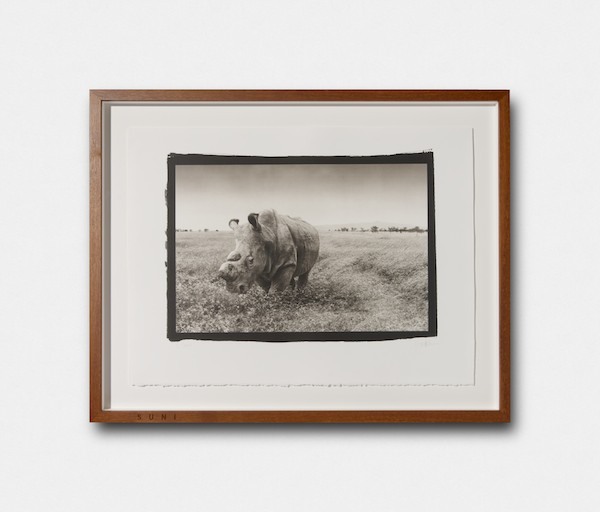 There is an edition of four prints of each of the four rhinos at Ol Pejeta, so only sixteen prints in total. Because of the bespoke nature of each print and frame, there will be variations. The images shown on this website are digital interpretations of the originals and can only give an impression of the real prints. 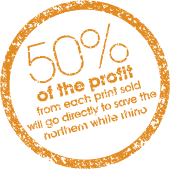 Each order is as bespoke as the nature of the production of these prints so please contact Ian Aitken on 01263 862212 or email ian@aitkenprints.co.uk to discuss your requirements.